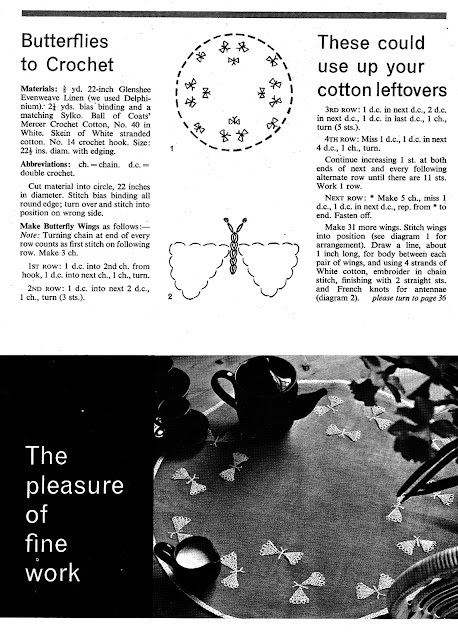 I also found this beautiful little butterfly pattern in the Stitchcraft Magazines. They are so delicate. I think they would be quite sweet stitched onto a little girl's cardi, or pinafore. ps. We've woken up to our first snow Bron, tell your boys that there is icing sugar on all the roof tops. How Cool Is This DIY Project?